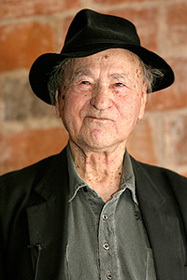 Jonas Mekas has acquired the look of a wise old sage. It’s the look of someone who has seen much of the world and retained a sense of wonder – or, the look of someone who has spent a lifetime with his eye fixed to a camera or a screen. It amounts to the same thing. As many of the articles that comprise this issue slowing unfurled over the past few months, in one way or another, they kept invoking Mekas and his inestimable legacy. That in itself is not surprising given that the bulk of this issue is dedicated to what is variously referred to as avant-garde, experimental, underground, alternate or, as the French filmmaker and writer Raphaël Bassan puts it, “different” cinema. As the interview that kicks off this edition of the journal justly testifies, Mekas is a living witness to that cinema in all its myriad history. For the most part, that history has mainly been told from an Anglo-American perspective. So, we are pleased to include the contributions of Raphaël Bassan, Christian Lebrat and Viviane Vagh that help flesh out the historical trajectories of ‘experimental and different cinema’ at play in French film culture. Like Mekas before him, Bassan was instrumental, with others, in the establishment of the French filmmakers’ co-operative movement in the early 1970s, which, as he freely admits, was based on Mekas’ New York model. A decade or two later, the emergence of the French experimental-film-labs phenomenon – as well documented in Vagh’s conversation with Bassan – resulted in a new wave of filmmakers and experimental practices. As to Christian Lebrat, he is not only a filmmaker of considerable stature but also an active disseminator of critical writing on the avant-garde through his publishing house, Paris Expérimental. Together with the recent publication of Bassan’s Cinéma et abstraction (Cahier de Paris Expérimental, 2007), Lebrat has also published in the recent past French translations of the writings of Jonas Mekas, Maya Deren, Standish Lawder and P. Adams Sitney, to cite a few. Together with Nicole Brenez and others, Lebrat edited the single most important volume of writing that documents the history of French experimental cinema, Jeune, dure et pure! Une histoire du cinéma d’avant-garde et expérimental en France (Paris: Cinémathèque Française, 2000). In a different vein, Lebrat is also responsible for the recent publication of Sally Shafto’s Zanzibar: The Zanzibar Films and the Dandies of May 1968, a volume that sheds light on one of the true blind spots in film history (certainly for those outside France). Though many may be familiar with individual careers – those of Philippe Garrel, Pierre Clémenti and Zouzou, for example – Shafto provides the invaluable work of bringing them together around the constellation of activity known as the Zanzibar collective and the cultural and political backdrop that defined them. Without any claims to being comprehensive (impossible to do in one issue), we hope the cross-currents between the various articles in this Issue will bring out some of the differing dimensions of avant-garde, experimental or ‘different’ cinema over the course of its historical evolution. Sadly, in the interim between our previous issue and this, the bell has tolled for a good number of filmmakers. In particular we note the passing of Ingmar Bergman, Michelangelo Antonioni, Edward Yang, Ousmane Sembène, Isodore Isou, Curtis Harrington and Richard Franklin. Their respective contributions to the art of film will not be forgotten. Nor should it. Particular thanks for their invaluable help with this issue go to Viviane Vagh, our colleague Michelle Carey, Hana Lo Bianco and, of course, all our contributors. Finally, we wish to advise our readers that from this issue onwards, Senses will initiate a practice of progressively updating the contents of each current online edition of the journal with supplementary content, particularly in the area of festival reports, book reviews and DVD reviews. This will help us expedite articles that correspond to more timely or current material.